What I love about this series (and this book in particular) is that it really gets under the skin of people and how they react to extreme circumstances and that is isn't afraid to tell things as they really are. I finding this particularly refreshing in Young Adult fiction which I have found can hold back at little bit at times which I find a little patronising. 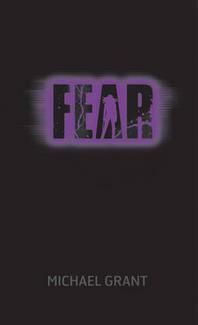 This particular volume looks at fear and deals with the whole idea of what makes us really afraif through the story. I particularly enjoyed seeing how Astrid grew as a character throughout this story and love the person she is becoming. I loved how this book is slightly different to those that went before it in how you nw get the odd chapter from the point of view of Connie Temple (Sam's mother). I found her story really fascinating and enjoyed looking at the Fayz in this new way. Wow the ending was immense. I really wasn't expecting it at all and I cannot wait to see where the story goes from here. A brilliant instalment to a series I love. I cannot wait to see how it all ends!